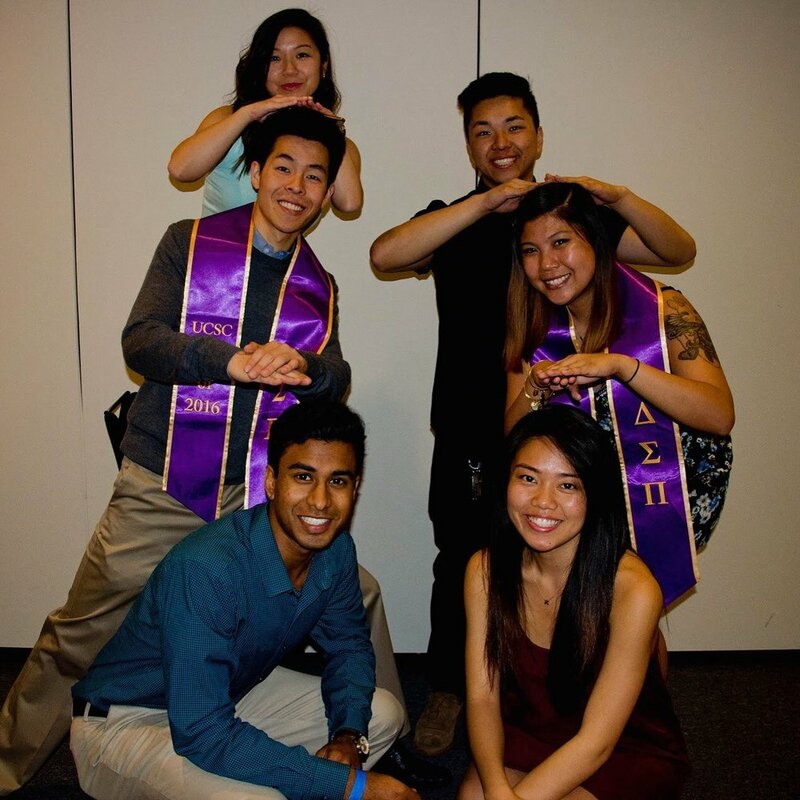 How has Delta Sigma Pi helped you get to where you are today? I got my first job out of college as a referral from a brother at SSL as a Marketing Assistant & an internship through another brother for the Raiders as a Community Intern. I've learned many skills from how to dress up for an interview to how to work collectively as a big group to better ourselves. I think DSP built a great foundation for what I have today and I'm thankful for having it be a part of my life journey! DSP taught me far more than just how to get into business — it was more about getting into the right business for me. Our first chapter mentor, Chuck, put it best: we had to not just think about the paychecks and job we could get, but what we want to do for the next 30+ years. He encouraged me to try and do something different and that fit me. My brothers taught me how to promote myself and skills properly. DSP got me to network with the right people. I would not be doing what I love with a brand that I love without their collective push. The pre-DSP me would drool seeing where I am now. My job is the coolest out there, and I would have never thought to explore this kind of career opportunity without what I learned in my years with Delta Sigma Pi. Although I joined Delta Sigma Pi as a senior, the organization had a profound impact on my collegiate career and was one of the best decisions I made in college! It was awesome to have such a vast community of Brothers always surrounding you in your classes, around campus, and even in different cities! I built strong relationships with various members within the organization that are some of my closest friends today! In addition to this, it was so fulfilling to be a part of an organization on campus that is passionate about giving back and truly embodies the core pillar of community service. Delta Sigma Pi helped me get to where I am today by providing me a solid foundation of support and lifelong Brothers that I am so thankful for! Delta Sigma Pi has helped me get to where I am today with providing me the opportunity to take on leadership roles within the organization by joining the Executive Committee. I have learned many soft skills that you would not learn through college that is applicable to post-college. I'm thankful for Delta Sigma Pi for helping me gain confidence in jump starting my career. Delta Sigma Pi strengthened both my leadership and team skills that I was able to apply to my current job, as we work in team oriented environments and continuously develop professional relationships with peers and clients. Being surrounded by like-minded individuals during college helped me gain the confidence and knowledge needed as I transitioned into my career upon graduation. I’m thankful for the lifelong friendships Delta Sigma Pi has given me and for setting me on a path towards professional success.